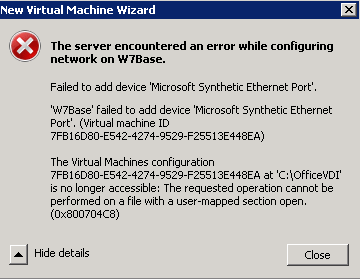 Failed to add device "Microsoft Synthetic Ethernet Port"
I just encountered the error message "Failed to add device Microsoft Synthetic Ethernet Port" or sometimes the VM crashed after installation or changing VM Setting. I thought it is the Virtual Switch which is giving the problem. So i decided to unmap Virtual Switch, delete existing Virtual Switch and create a new Virtual Switch. However the problem still exist. After several investigation, manage to locate the problem. Simple. 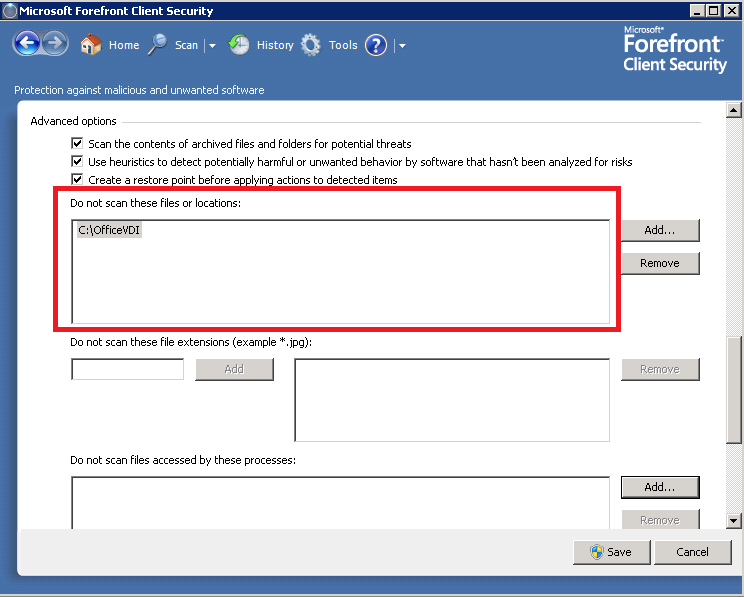 Just exclude the folder where you put your VHD and VM Configuration files. I'm using Forefront, so below is the snapshot of where you can put the exclusion. 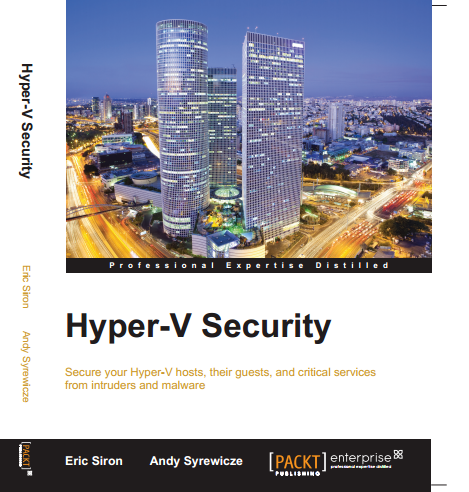 If you're using other type of antivirus, i advise that you to put exclusion to avoid any problem on your Hyper V host. OfficeVDI folder is the location where i consolidate VM configuration,VM Images and VM Snapshot. You should exclude Vmms.exe and Vmwp.exe as well which located in C:\Windows\System32. Here is the video demo on how to access VDI which created from Microsoft Remote Desktop Services. 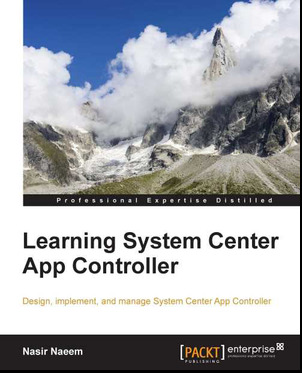 In this demo i have display RemoteApp and VDI. 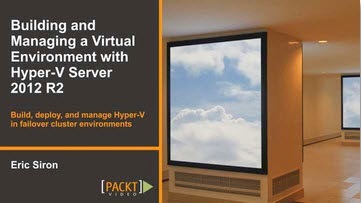 See how clear the running video running on the Client VM which hosted in data center. 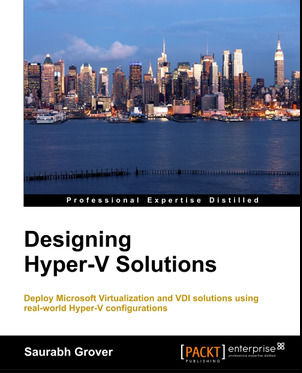 Stay Tuned for Video Demo for Configuring VDI using Remote Desktop Services. This is presentation session that i've share to MVUG on May 2010. Demo video will upload later. Stay Tuned! To learn more and share to the community, please feel free to join MVUG group. Click here to join. Hyper-V does not allow access to a Physical COM Port. Hyper-V does not provide the functionality to associate the virtual COM port to a physical COM port. 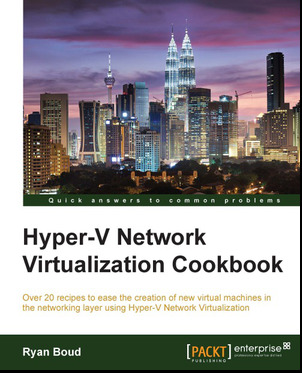 Feel free to share other link if you have tested Virtual COM or Serial Port to the community. 1. Ensure [FQDN of the server] is online and not blocked by a firewall. 2. Ensure that file and printer sharing is enabled on [FQDN of the server] and it not blocked by a firewall. 3. 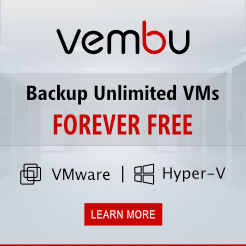 Ensure that there is sufficient free space on the system volume. Step1:- Open SMB protocol and TCP445 as mention about file sharing. It did not work as well. Step 2:-Moving on, i install the agent locally so it can put as Windows exception for the port 80 and 443 on windows firewall. You can try to disable windows firewall. Step 3:- Adding the following account into local administrator group:- Domain Admin, VMM Service Account. Step 4:- Still fail and when you query netstat -an, it is using random port number. Step 5:- Enable Remote Server Management which located in Server Manager snap in. Step 6:- So rather than guessing which port number, i just put "Any" from VMM Server into all Hyper V host which located in multisite. Step 7:- Add the host using VMM. It work fine when open all ports on the firewall. 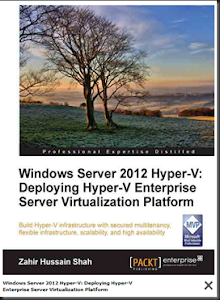 Repeat step 2 until 5 for the remaining Hyper V hosts. Make sure the firewall port is open bi-directional between VMM and Hyper V Host which behind the firewall. The host should join to domain. 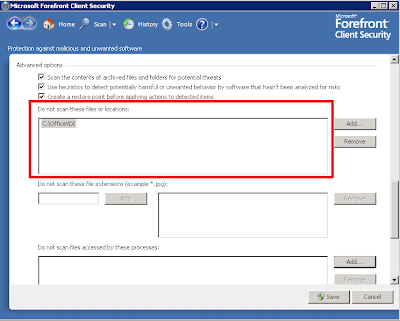 If your host is reside in DMZ zone, you need to create a security file.